Curley Park Rangers mission is to be the focus of football for boys and girls from 5 years to 18 within the local community. We do so by providing a friendly & open atmosphere in which good sportsmanship combined with competitive play is encouraged. Everyone is welcome to play & watch football in the spirit of the game. We strive to continuously improve our standards not only through adherence to the FA charter standard kitemark but also by continuously improving the quality of our coaches and playing facilities. C Community Community focussed, providing a focus of football for children in the local community. R Respect Fully support the FA Respect programme, showing respect to everyone connected with & in contact with the club. Y Yes Yes to everyone who wants to play. 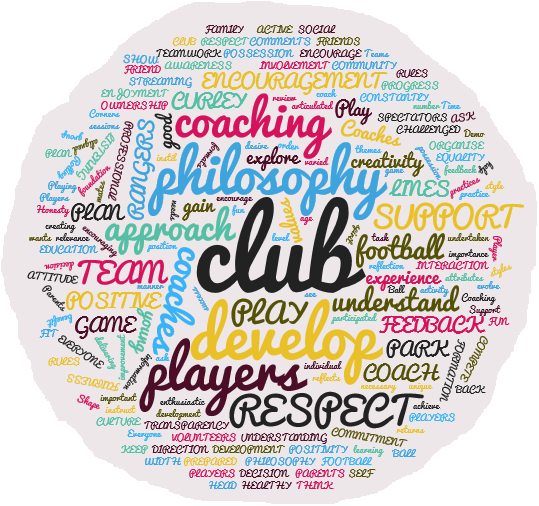 We are an all inclusive club that will not turn any player away who agrees to play within the context of our philosophy. P Player Player focussed. All of our efforts focussed to improve the experience of the players. A Achievement Encourage every child to achieve success appropriate to their abilities. R Responsible Take responsibility for ensuring that all of our football is played in a safe environment & that high standards of behaviour are maintained.